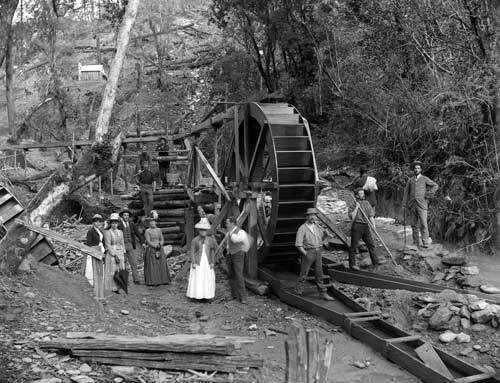 Miners and visitors pose with a new water wheel at the Never Surrender claim at Cullensville, Māhakipawa, around 1890. Cullensville was the site of a gold rush in 1888. Permission must be sought from Nelson Provincial Museum before any re-use of this image.